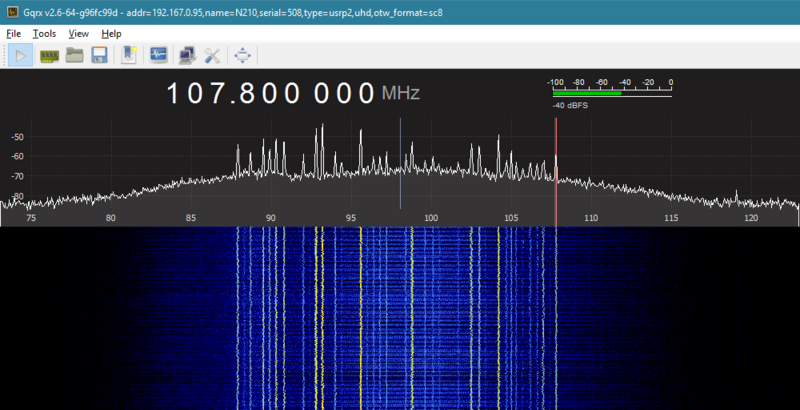 Although it is surreal to see 50Mhz of spectrum in realtime (40Mhz bandwidth using UBX-40 - 10-6000MHz RF frontend) - it is only available on the host in 8-bit mode (it already requires 800Mbit/s - using otw_format=sc8 in device string). 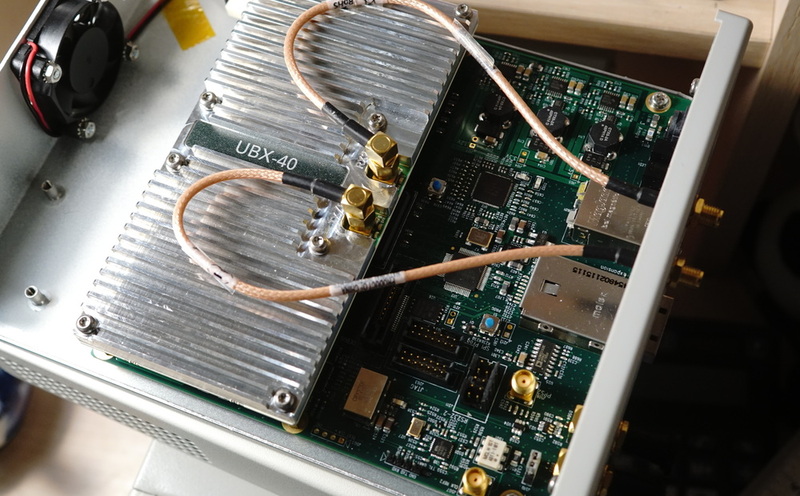 In 14-bit ADC mode we can "only" fit 25Mhz through gigabit Ethernet. But if you're ready to do custom processing on internal FPGA - one can do better. Ethernet connection is really useful - now I can easily set it away from the PC, for example on a balcony - where I already have Ethernet cabling. Also it will not pickup any noise from the ground as Ethernet is isolated.